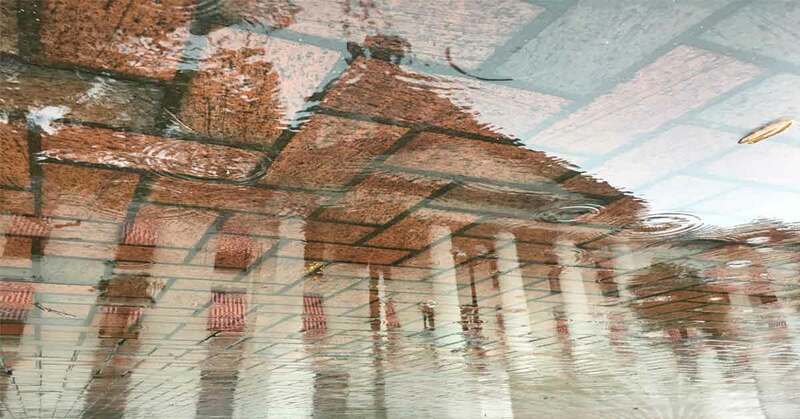 The old Florida State Capitol reflects in the puddles in the brick courtyard between the new and old. The awning and brick colors compliment each other so well. The building seems to jump out at you as you take in all its details.